Wahoo! 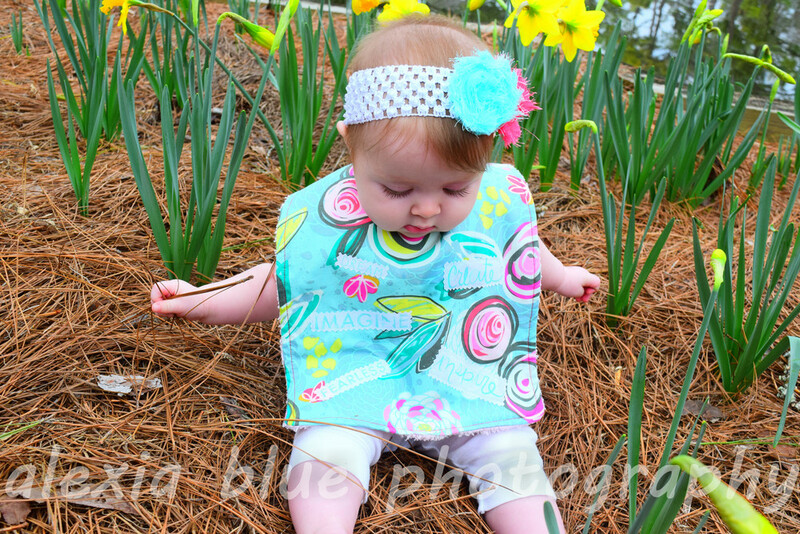 It's my day to share about the brand spankin' new Chalk and Paint line of fabrics from Sew Caroline for Art Gallery Fabric, and I'm sharing my Adjustable Infant to Toddler Feeding Bib Pattern with you all, free. I thought since Caroline welcomed a new little one recently, and since I have baby gifts to make for a recent birth, this would be the perfect use for this fabric, plus you'll be prepared for all the baby showers coming down the pike. I'm absolutely in love with the color palate Caroline put to use in this line; it's the perfect mix of subtle tones and vibrant hues. I have to say that my favorite print is the "Writings on Walls" and I'm really excited to see projects start rolling out that feature it. It's never too early to start using words of affirmation with your children, is it? After I made the bib above, I thought maybe the white colorway wasn't the best choice for a bib...we all know what baby feeding bibs end up looking like, don't we??? So I cut a few of my favorite words out and appliqued them to another print. 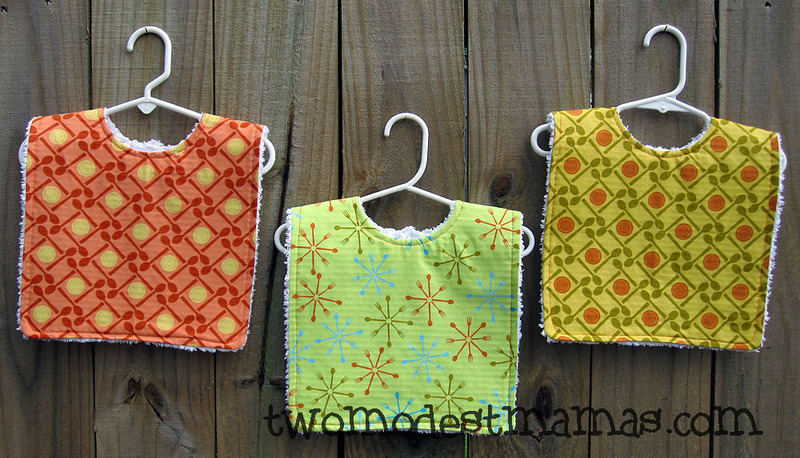 I also thought it would be fun to break up my basic bib pattern with some color blocking. If you decide to do this, don't forget to add seam allowance where ever you decide to split the pattern pieces. 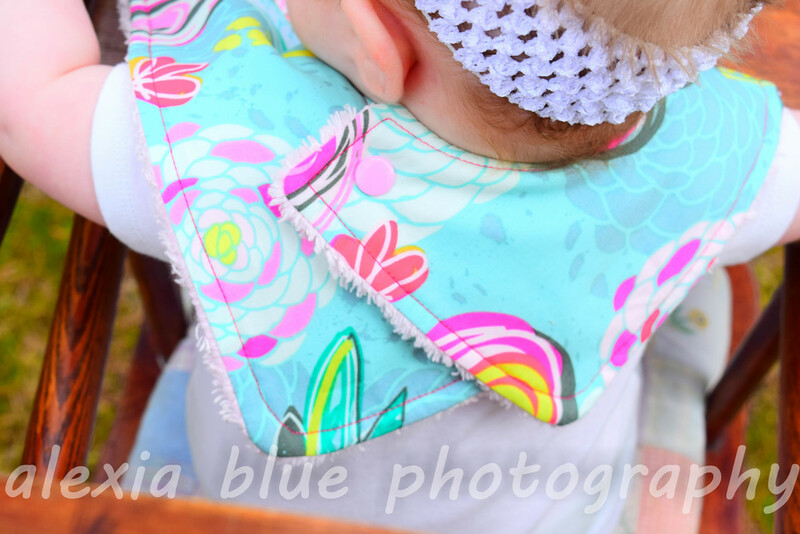 I wish the photo showed it better, but the bib below features 1/2" horizontal pintucks with lace inserted, just another fun little girly detail. 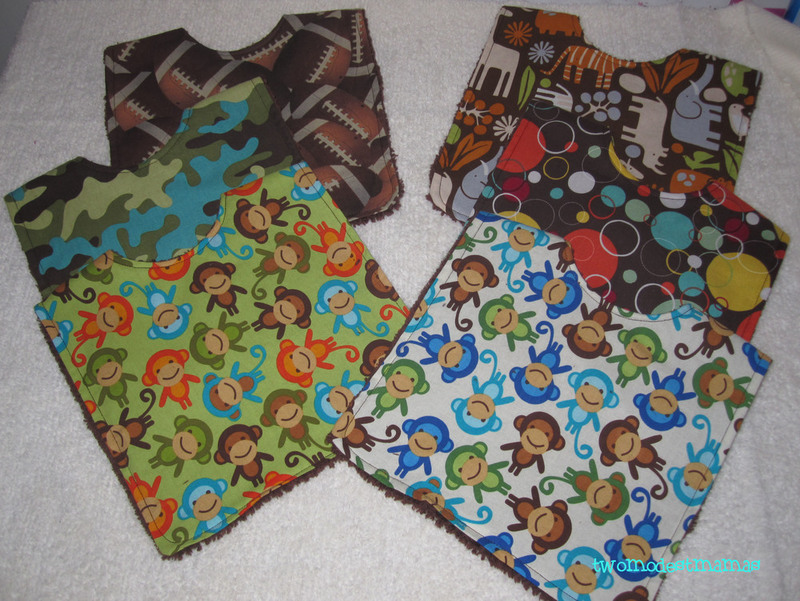 Are you ready to make some bibs for the little cuties in your life? I've made hundreds of these over the years and found them to be my favorite design, and I've tried all kinds. 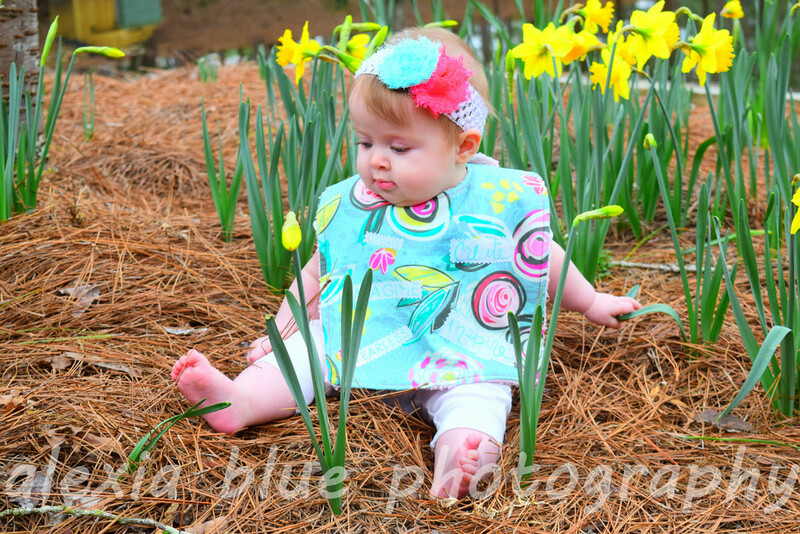 They cover the shoulders, protecting your little one's clothing where other designs with narrower straps fall short. The back features multiple snaps, so fitting is never an issue, plus, those Kam snaps are some tough buggers for babies to pull apart. See the gallery at the end of this post for more modeled photos. 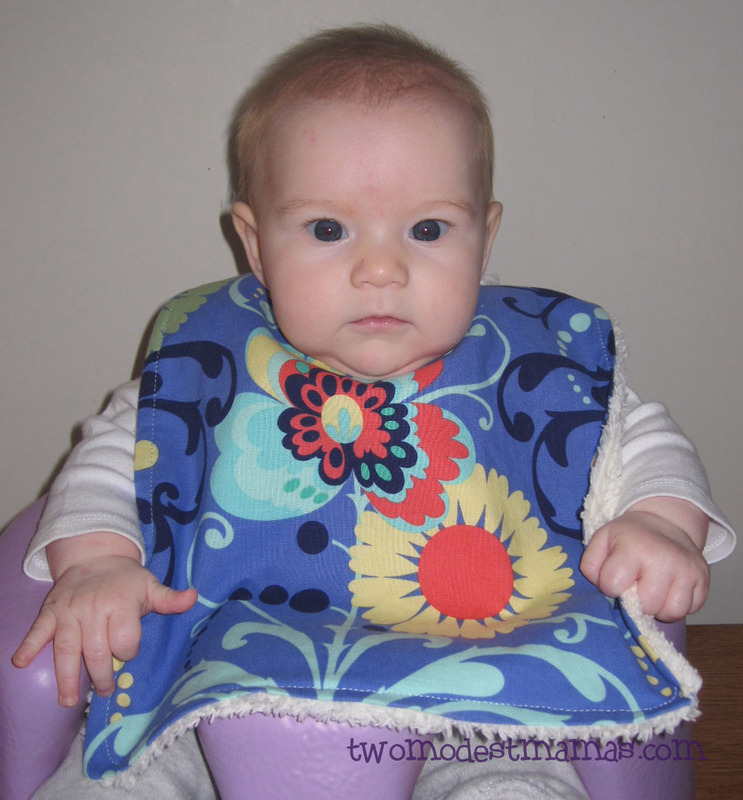 Win the fabric to make your new bibs! 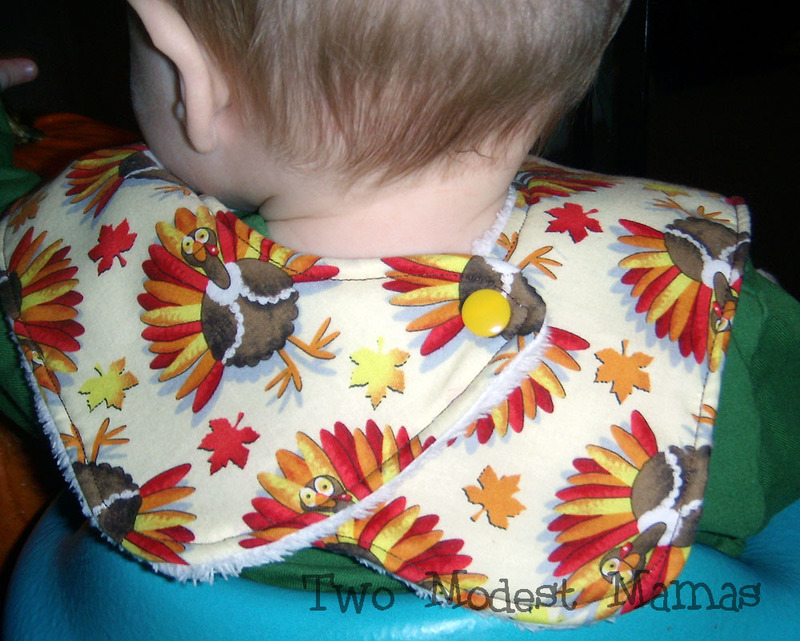 More views of the finished bib.